Children’s Art Museum of Nepal (CAM) aims to provide art facilities and experiences that are so noticeably absent in our country, by making a creative place for children so that they can freely express themselves through art, learn and feel proud of their identity at the same time. CAM has been active in the community since September 2013, even before we had a physical space to work in, bringing art to classrooms and other children’s spaces so we could accomplish the goals we had set out. With the help of an enthusiastic response from eager volunteers and children’s groups, we work on various events and workshops, and have established partnerships with various local and international social service organizations. This is our main gallery space! Here, we show off the newest art works and projects we do with our tiny artist, thinkers, and learners. We have had so many educational and interactive art exhibitions, concerts and paint parties here! The backbone of CAM Nepal are the dedicated volunteers who give us their time and effort to reach children across Nepal. Joining CAMCrew is a great way to make a difference. We welcome enthusiastic young people as well as experienced professionals to work together with CAM Nepal. After the major earthquake of 25 April, 2015, many children were affected by the damage wrought by the earthquake. Schools and houses had collapsed, villages were flattened, and more than 9000 people were killed. The physical and mental trauma caused by this massive natural disaster was felt by almost everyone in the country. CAM Nepal started a relief program in early May, visiting children in the camps set up across Kathmandu. 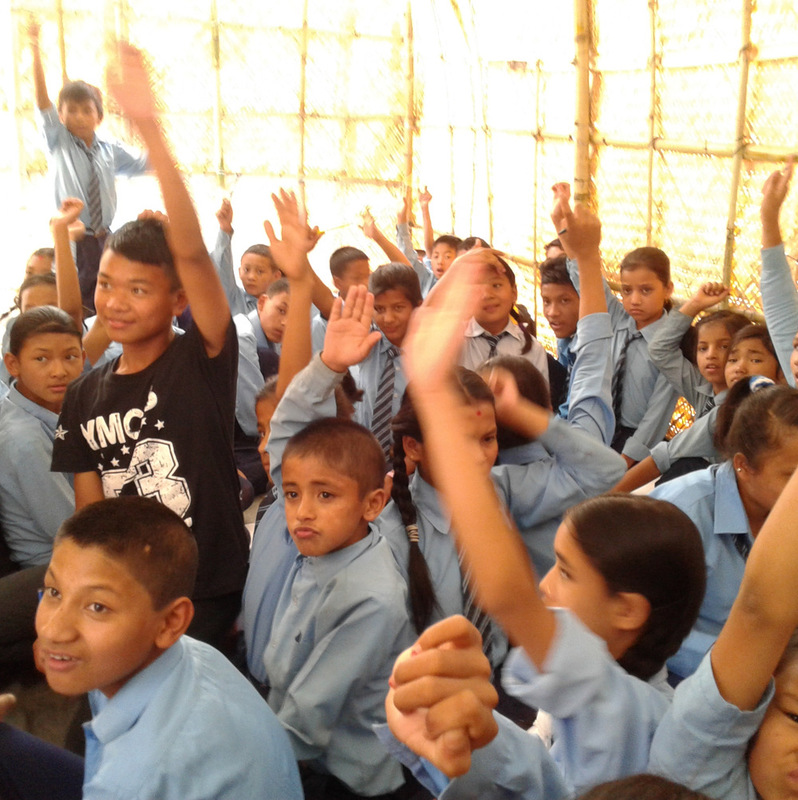 CAM Nepal provided children an opportunity to sublimate their emotions about the earthquake by using art activities, games and storytelling activities that made them feel safe and secure enough to express their thoughts through various mediums. Nepal has gone through great geological and political upheaval in recent years, and people are still suffering through aftershocks, shortages, and destroyed communities. This makes it more important than ever to address the psychological needs of the children. 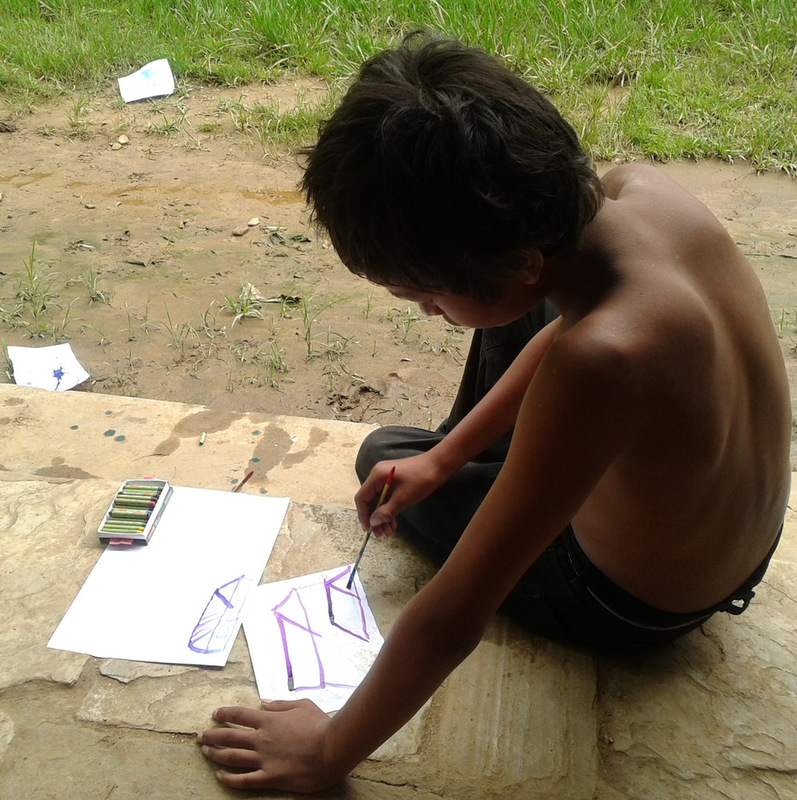 CAM Nepal provides art activities that promote self-expression and creativity in children affected by recent events. CAM Nepal visits are something that the children at targeted schools look forward to with great enthusiasm, frequently telling us how much they had enjoyed doing art without any constraints. By focusing on alternative materials found easily in some of our art activities, CAM Nepal was able to make the children realize that they could do art even without basic art supplies as well, and many children looked forward to creating art at home and during their free time. Over repeated sessions, children become less inhibited and more comfortable expressing themselves during and after the art-making activities. They either explore making landscapes in other mediums, or make portraits, objects and abstract and colourful pieces out of materials and colours they simply enjoy using. Also, children were also naturally opening up more about any struggles that they have had – bullying, loss of family member, loss of security etc. and were able to use art-making as a calming and healing activity. Activities such as the self-portrait collages in particular were especially effective for children with self-esteem issues. Some enjoyed having atypical materials to represent themselves. Some rejected this activity due to severe self-esteem issues but were more open when reassured that the artwork did not need to be realistic and they were free to use materials in alternate ways. Being able to use colourful and beautiful materials to explore their self gave them more confidence. We are CAM Nepal. See what we are about!